Follow out Facebook Page: SwingTrain South Yorkshire to keep updated of when we’ll be returning. 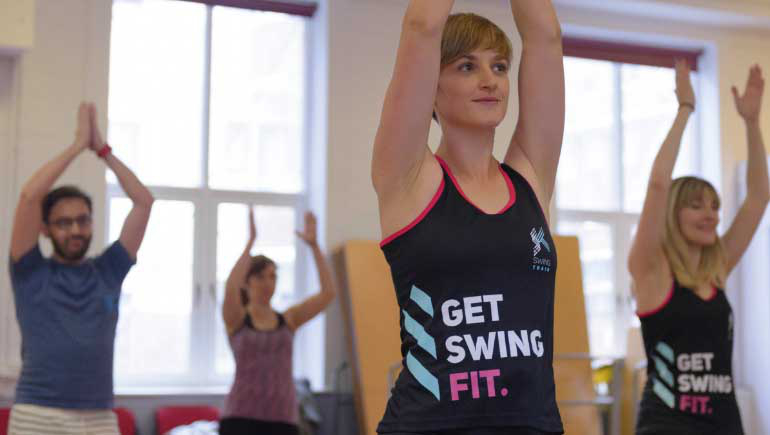 Join Dave for an hour of dance cardio through SwingTrain. SwingTrain is a fun and effective dance cardio workout inspired by the joyful, energetic sounds of Charleston, swing, gospel, electro swing and hot jazz. It uses the classic moves of the swing era (1920s-1940s) such as Charleston and Lindy Hop to create an effective, vintage inspired cardio workout.